So you have a shiny white dry erase board in your office, classroom, or conference room and you love using it for meetings and to write reminders on it. Some people, however (we won’t name names) keep writing on it with permanent markers, and other people try to erase the board using a napkin soaked in Diet Coke or coffee. Pretty soon your shiny white board is dull and gray. 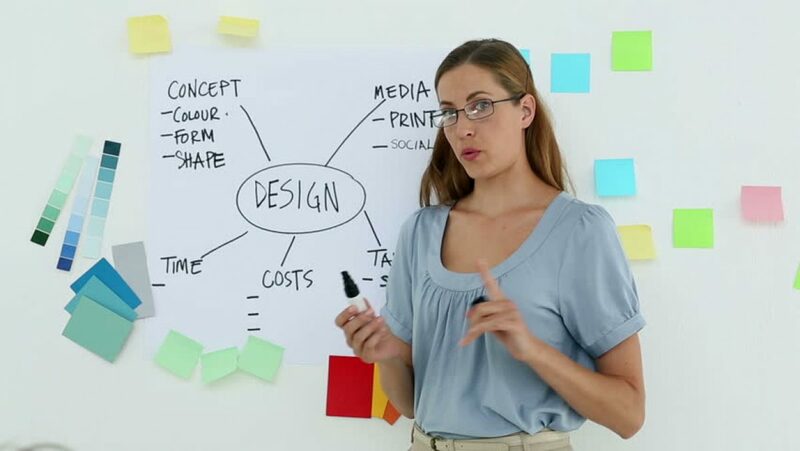 You could order a new, expensive whiteboard from one of the big office supply stores and pay to have it installed after the old one is tossed in the trash. But why not consider a smart alternative? 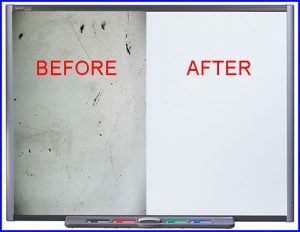 Whiteboard In A Box is the smart solution for resurfacing old dry erase boards so they are like new again! Not only is it less expensive to purchase but it’s far easier to resurface than to drill more holes and install. Plus, old whiteboards end up in the garbage dumps which are already too big. 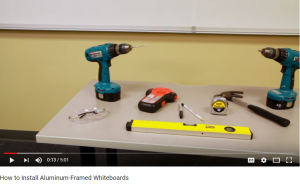 We found a YouTube video on how to install a new whiteboard and the tools required look like more than most people would care to get involved with, and the time required is extensive. Whiteboard In A Box is easy to install and requires no tools, just a clean, flat surface. Whiteboard In A Box can also be used to create a brand new dry erase surface in a new location because it adheres to any smooth, flat surface. Don’t worry about sticking it on a wall or table, it won’t harm the surface below. 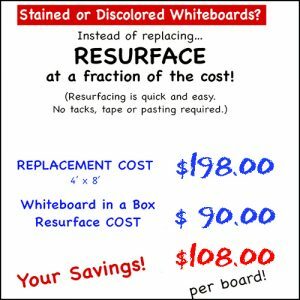 A comparison of buying new versus resurfacing shows that on average, your savings will be well worth trying our most popular product, Whiteboard In A Box! Schools with many classrooms in particular save thousands of dollars when they choose to resurface. Click here to start shopping for 48″ wide rolls and click here for 60″ wide rolls. Whiteboard In A Box can easily be cut to your specific needs. Next Next post: Office Managers: Get the Credit You Deserve and Be a Hero!